Editor's note: Public gardens aren't just a nice place for a walk. 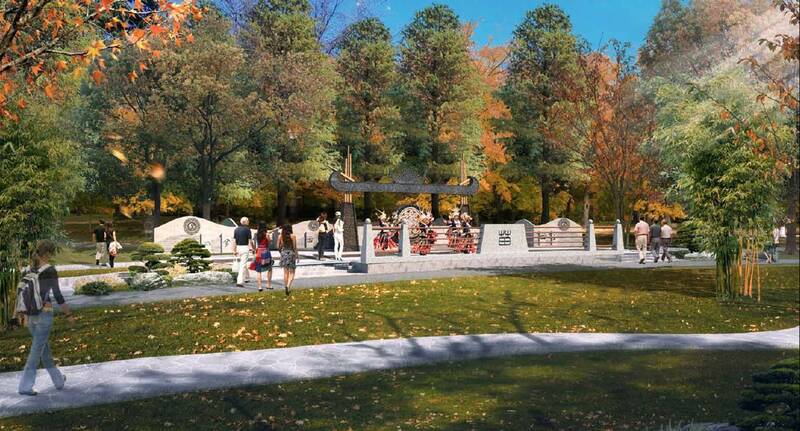 Inspired by Minnesota's multiple Japanese gardens, a Chinese garden planned in Phalen Regional Park is intended to promote understanding of China's cultural heritage. In this next installment of MPR's Young Reporters Series, Amanda Furru tells us about the new garden project working to strengthen the connection between St. Paul and Chinese sister city, Changsha. Few residents may know it, but St. Paul's nearly 30-year friendship with its Chinese sister city may be about to bloom. In July, the Minnesota China Friendship Garden Society dedicated the site for a proposed Chinese garden at Phalen Regional Park. The $7 million garden would be the most significant project to come from St. Paul's partnership with Changsha, China. "This is a pretty exciting project, and it's a big project for Minnesota," said Linda Mealey-Lohmann, president of the Garden Society. Mealey-Lohmann has been working to make it a reality for almost a decade. However, backers still need to raise millions of dollars. Groundbreaking is tentatively scheduled for next spring. Mealey-Lohmann said the project could proceed with as little as $300,000, since construction will likely occur in phases. The project has already received $50,000 in state Legacy Amendment funds. The 1.2-acre garden is an ambitious proposal. 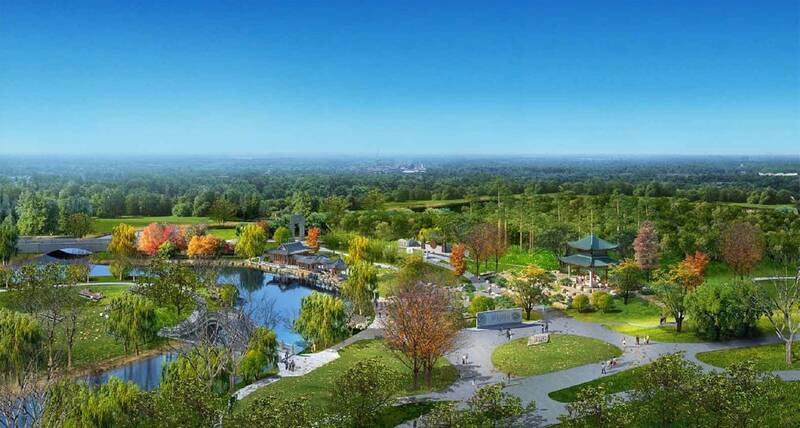 It will include a pagoda-like pavilion, new walking paths, a rock garden and a stone bridge connecting the garden to Lake Phalen's Picnic Island. The design also features a lakeside pavilion with an enclosed classroom and outdoor space for tai chi. Garden backers say the project was inspired by the popularity of Minnesota's numerous Japanese gardens, including the Charlotte Partridge Ordway Japanese Garden at the Como Conservatory. Just as those spaces promote Japanese culture, St. Paul's Chinese garden is intended to promote understanding of China's cultural heritage. In a nod to East St. Paul's large Hmong community, architects added a "cultural plaza" to the design. Hmong people trace their ancestry to areas throughout China, including Changsha, the capital of Hunan province. The garden's buildings will reflect the ornate detailing found there. "And that's going to be the first Chinese garden in the U.S. that will have that style of architecture," said Mealey-Lohmann. "So we think that will really attract visitors to Minnesota from all over the U.S. and maybe all over the world to come and visit the park." St. Paul's friendship with Changsha began in 1985, when a group of Midwestern leaders went to China on a trade mission. St. Paul's project isn't the only Chinese garden proposal in the works. The Minnesota China Friendship Garden Society also has tentative plans to build a second garden at Washburn-Fair Oaks Park, across from the Minneapolis Institute of Art. That Chinese garden would honor the sister-city relationship between Minneapolis and Harbin, China. Amanda Furru is an intern for MPR News.